The Ninka was a Free Virgillia-class Bunkerbuster in service of the Resistance during its conflict with the First Order. Its commanding officer was Vice Admiral Amilyn Holdo. 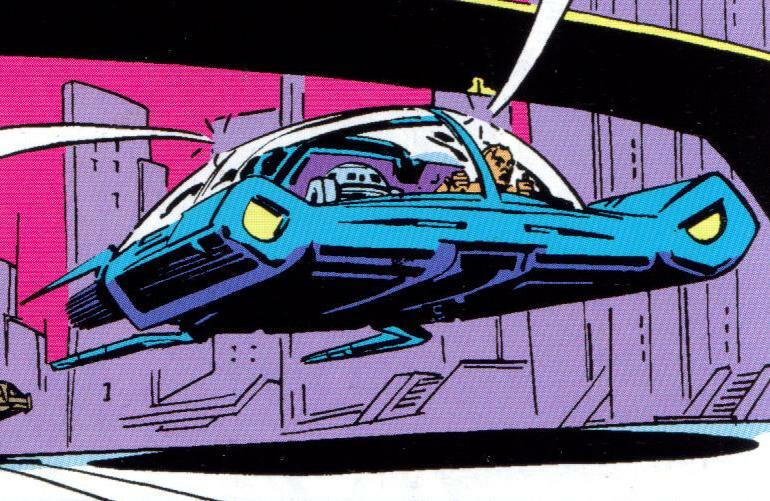 After the Atterra campaign the Resistance bomber squadrons, Cobalt and Crimson Squadron were transported aboard the ship back to D'Qar so they could help with the Resistance's evacuation of their base. The Free Virgillia-class Bunkerbuster, also known as the Bunker Buster, was a type of corvette model constructed by the Corellian Engineering Corporation and used during the First Order�Resistance war by the Resistance. Vice Admiral Amilyn Holdo commanded a Bunker Buster known as the Ninka for the Resistance. The Free Virgillia was a class of corvette. It was armed with powerful bunker buster plasma bombs, and a complement of bomber craft that could dock on its reinforced pylons. The Virgillian Free Alignment was an early ally of the Rebellion, fighting a bitter civil war with its star system's Imperial-backed government. After Virgillia threw off its shackles, it became one of the Resistance's strongest supporters in the New Republic. The Ninka, Vice Admiral Holdo's command, is a Virgillian "Bunkerbuster", designed to carry heavy weapons and ordnance for eliminating hardened ground targets. Holdo adores her rugged little ship, but transfers her flag to the Raddus after taking over leadership of the fleet from an incapacitated General Organa. They were in use as of 34 ABY. The Resistance used the bunkerbuster Ninka commanded by Vice Admiral Amilyn Holdo. It was destroyed when it ran out of fuel and fell into range of the pursuing Supremacy. Listed here is a new skill for operating ordnance weapons. Usually, when it comes to proton torpedoe, concussion missiles, or some variant of these as bombs, or some other bomb, very little information has ever been given on how to use and operate bombs and other ordnance in Star Wars D6. Where torpedoes and missiles actually travel on their own propulsion, bombs are dropped from above, fall, and hit a target somewhere below, usually exploding on contact. 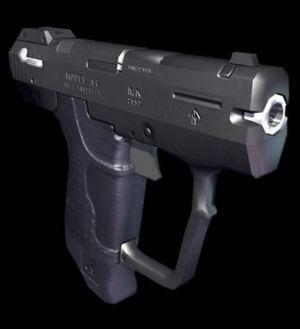 While other skills could be substituted to operate these weapons, they do not function the same at all. So this skill is provided to operate bombs and other ordnance. The ordnance weapons listed have a crew of 2. This is to represent a "spotter" who chooses the target (either using Sensors or Capital Ship Ordnance to select the target), and a "bombardier" who drops the bombs, or shoots the weapons (use Capital Ship Ordnance to hit the selected target). In the case of the Ninka, the ship flies over a target on a planet, probably while in orbit, the spotter uses the sensors to locate the desired target and lock on to it, granting the Fire Control dice to the bomber when he drops the bombs on the desired target. This also means that the effective range of the ordnance weapons is that of the ship's sensors, and gravity does all the work to make sure the ordnance hits the target. Fire Control bonus dice could be represented by anything from precision launching mechanism with computer assist, to the bombs themselves making minute corrections in mid-air with micro-thrusters and cheap droid brain components (smart bombs) as they fall towards the target. In The Last Jedi, the Resistance Bombers appear, but the movie doesn't show where they appear from. I at first assumed they came from the Raddus. I found out later they came from the Ninka, and the pylons extending from the Ninka's front sides is used to keep the bombers docked when not in use or when being resupplied. The Ninka is mentioned to carry Cobalt and Crimson squadrons, both of which use these bombers. As Cobalt squadron lists 7 of these bombers among their number, and Crimson mentions fewer but may have had the same number at some point, it can be assumed the Nonka can dock at least 14 of these bombers to it's docking pylons. But, the Ninka may be able to carry more, as the max number of bombers per squadron is not stated. The Ninka also carries other starfighters as part of these squadrons, which would make good escorts for the bombers as they are pretty slow. If you look at the pic of the Ninka, you will notice three very large pod shaped objects about midships of the Ninka's hull, 2 port/left, 1 starboard/right. The size of these pods is clear when you realize the entire ship is 300+ meters long, with the more advanced tech the Star Wars universe possesses. These are the Heavy Plasma Bombs. From where they're positioned, it seems clear to that they are intended to be dropped from above, not fired along a firing arc like other weapons (see Skill: Capital Ship Ordnance and Ordnance Weapons, above for details). If a spotter/bombardier team work with a pilot to "fling" these bombs at a target in space, it will require a Very Difficult piloting skill roll to do so. These bombs can also be fire-linked. If dropped in this way, they add +2D to the Damage dice per bomb (19D total), and these bombs have a blast radius of 10 space units or 100+km in atmosphere, not including expected side-effects after detonation (see below for more on that). It should also be noted that these bombs are 100 megatons each. For context on how powerful this is, the Little Boy atomic bomb dropped on Hiroshima during World War II is 15 kilotons, while the Fat Man atomic bomb dropped on Nagasaki is 20 kilotons, and the Tsar Bomba, biggest nuclear bomb ever detonated by humanity in the real world, is 50,000 to 56,000 kilotons. A kiloton = 4.18 terajoules, a megaton = 4.18 petajpules, and 1,000 terajoules equals 1 petajoule. So the Tsar Bomba is about 50 megatons, and these Heavy Plasma Bombs are 100 megatons, roughly x2 more powerful than anything detonated by the real-world human race. And since they can be "fire-linked" and dropped together, this might multiply x3 (300 megatons). For more information on how destructive this is, just look up the Tsar Bomba wiki page, and all the info mentioned there, just multiply this x2, or more if these bombs are fire-linked. Needless to say, the larger nuclear weapons test-detonated since World War II made scientists afraid that these powerful weapons may someday set the atmosphere of Earth on fire and incinerate the surface of the planet. Obviously this never happened, but could these bombs be capable of such a feat if detonated on an Earth-link planet? Less powerful than the Heavy Plasma Bombs, these Ordnance Pods do less damage, but carry more ammunition, and are easier to "fling" at targets in space (Difficult piloting skill roll). They can also be "fire-linked" and dropped en masse. When done, use standard fire-linking rules to figure enhanced Damage dice (+1 pip per bomb, 16D+2 total). [NOTE! : After getting a look at the Ninka in Star Wars The Last Jedi Incredible Cross-Sections preview pages, I think the Heavy Ordnance Pods may instead be 8 single, individual, really big bombs. The way I had them written up here before, I was not able to see any good angles of these pods in the single image of the Ninka I was able to find online, so I assumed they were each their own bomb bay or launching mechanism of some kind. With the cross-sections showing the interior of the areas housing these pods, I have changed my mind, and the weapons entry above reflects this now. If GMa/players wish to use the previous version, I made the pods each their own "bomb bay" of sorts, each with 6 bombs to drop, damage 8D per bomb, and a Rate Of Fire of 1-8 depending on how many bombs you want to drop all at once. This is mentioned here for the sake of having options, and I would think swapping out these ordnance pods for different kinds of ordnance would be handy depending on the mission and what needs to be cracked with said ordnance. The Ninka was effectively done up like a bigger x2 sized Corellian Corvette. If you look closely, under some of the extra scrap added onto the hull, there are tell-tale design shapes that show Corellian details. At just over double the length of a CR90, this ship has little in the way of overall general improvements. That's because due to the role it performs, the Ninka doesn't need them. Whether by design or modified to do so, the Ninka carries an impressive array of ordnance meant to be dropped from on high and blow the smitherines out of unsuspecting targets, erasing bunkers and other fortified positions of the First Order from existence. Aside from carrying this ordnance, the Ninka also carries two squadrons of Resistance Bombers (MG-100 StarFortress SF-17). Each of these bombers carries enough of its own ordnance, that if it succeeds on a bombing run, it can take out a massive dreadnought larger than a star destroyer. This greatly enhances the ordnance capabilities of the Ninka in performing its designated role. Due to the lack of information on the Ninka and the Free Vigillia-class Bunkerbuster, I do not know if this is a standard class ship designed to be a devoted bunkerbuster, or if it is a heavily modified corvette. 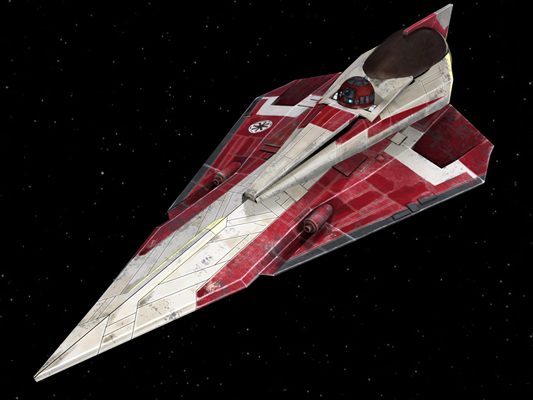 "Corvette" implies light and fast, and this ship kind of goes in the opposite direction, even though it has design elements of a CR90 Corellian Corvette. With that being said, the Resistance has been stated as modifying their ships to remove nonessential systems and add whatever they can for better automation and require less crew aboard their ships. 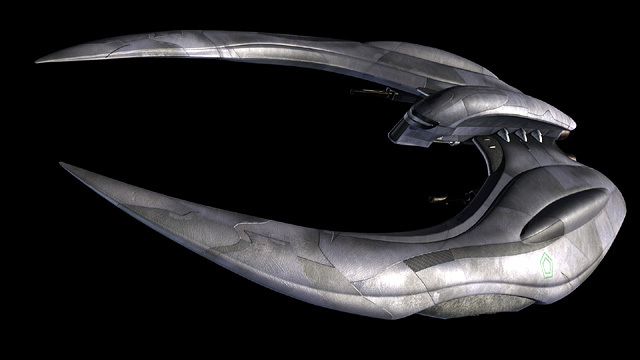 Considering the size of the Ninka, the size of a CR90 being half as long, and the Ninka's spartan crew, this ship seems very much to have undergone the same alterations. If more information is revealed later, I may use it to alter this write-up, or do a different one. 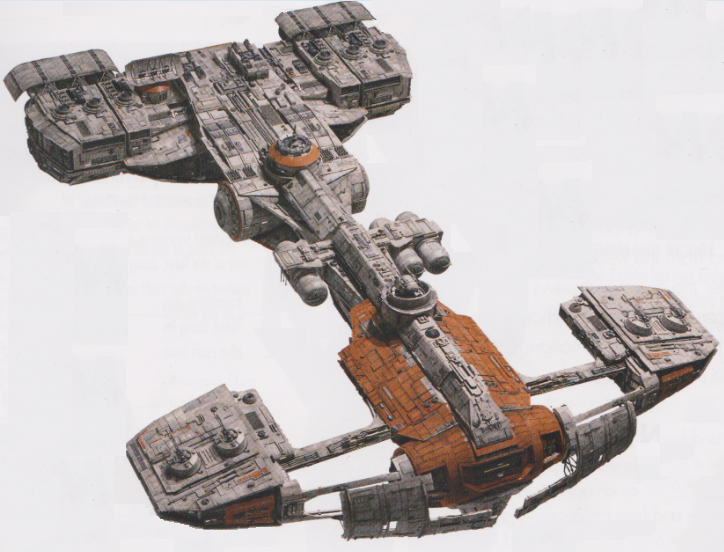 But for now, I leave this as a unique ship of the Resistance, and of fans want to make it a stock class of ship, a heaviliy modified speedy corvette, or something else, that is up to them, and personally I'd enjoy seeing some variants. As with all Resistance ships I have written up tonight, if there is a stock version of this ship, the standard crew skill dice will be -1D than that of members of the Resistance, due to quality over quantity. I do love the Ninka, how you can see that basically it's a Corellian Corvette design with loads of extra bits bolted on. I do notice that between this, the First Order Mandator IV-class siege dreadnought and the Slayn & Korpil MG-100 StarFortress SF-17, that we've got the first official bombers (as opposed to Fighter/Bombers like the Y-Wing and TIE Bomber) and orbital bombardment vessels, and although we never see it, The Last Jedi shows us the shape that any attack on a planet would take. I had similar thoughts. 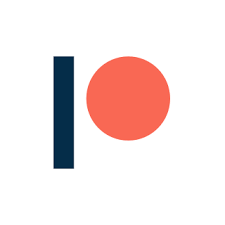 Come to think of it, I never did run or play any kind of planetary bombardment scenes in past games. Wish I did, and if I were in a group I;d go for it now. The Resistance could have off-loaded all nonessential crew from the Ninka, Vigil and Anodyne onto the Raddus, then take the Virgil and Anodyne and use the Lightspeed Jump Collision against the Supremacy....which still would have been effective.....then have the Ninka drop its full payload of whatever was left during all the confusion, destroying what they could of the First Order, but also maybe causing a big enough distraction that the Raddus, and maybe the Ninka, could have made the jump to lightspeed and gotten away. Thanks you for producing such materials so quickly. I found a little bug in your maths describing the heavy plasma bombs: the tsar bomba is in the 50,000 kilotons range, which is 50 megatons (and not 5 megatons). Consequently, the heavy plasma bomb is 'only' 2 times this very big bomb.